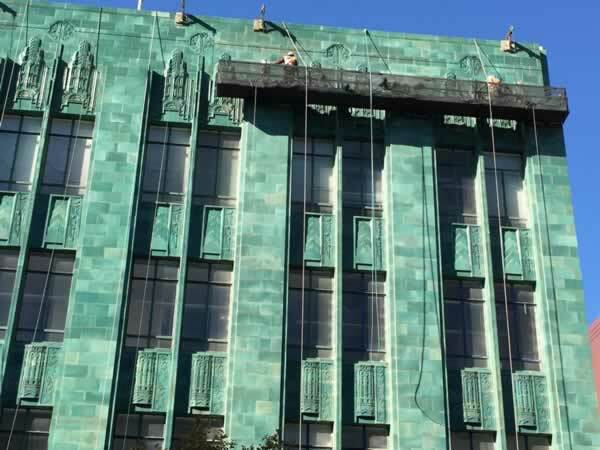 Everest was retained to restore the green and serpentine art deco, terra cotta facade of the historic I Magnin building in downtown Oakland. Built in 1931, this unique building is listed on the National Historic Register. Everest technicians first surveyed the whole facade and then designed the appropriate repair profile.